On April 1st, when it opens for the first time in the season, Giverny is like a sleeping beauty. Still a bit dreamy, it awakes gradually. Lovers in their own dreams start walking around or sitting on the benches, enjoying the Spring sunshine. 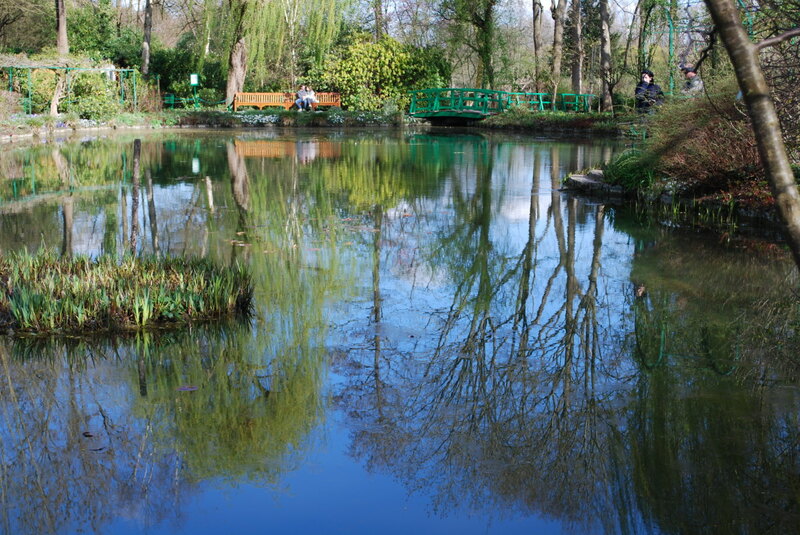 Giverny is a nice place to celebrate love, love of a partner, of parents, relatives, and also love for gardens, nature, painting and simply beauty. It was Valentine’s day this week: I dedicate this post to all lovers.